Efraín Recinos, Guatemala vista desde 33,000 Kilómetros de Altura (Guatemalita), 1960. (Detail). Oil on canvas, 47 x 168 in. (120 x 426 cm), Courtesy of the John Gody Collection, Guatemala City, Guatemala. Organized by Miki Garcia, Executive Director & Chief Curator of Museum of Contemporary Art Santa Barbara (MCASB), as well as Guest Curator, Emiliano Valdés, Guatemala from 33,000 km: Contemporary Art, 1960-Present brings together works that have rarely been seen beyond Guatemala, but that speak to a range of formal, political, and social concerns that permeate contemporary art both in Latin America and throughout the globe. This exhibition marks the first ever in-depth commitment to the study of Guatemalan art in the late 20th and early 21st century, bringing innovative and visually arresting works produced by Guatemalan artists to a public audience in the United States and abroad. With the support of the Getty’s Fall 2017 initiative, Pacific Standard Time: LA/LA, Guatemala from 33,000 km features artwork in a range of media, tracing the tumultuous route that has traversed the history of Guatemala since 1960. Pursuing the development of art in Guatemala is fundamental not only to understanding today’s production but also in the unveiling of practices and oeuvres that have largely remained underexposed. 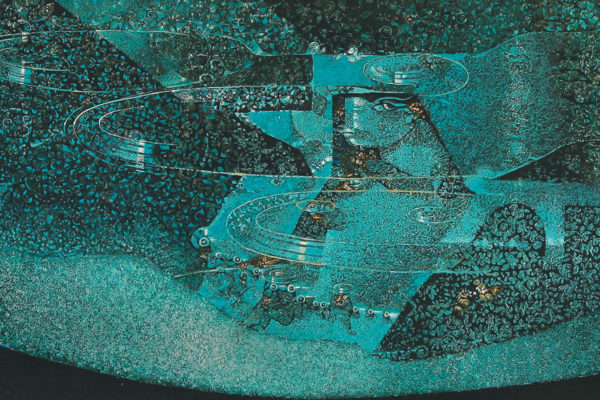 Political, infrastructural, and economic issues have acted as barriers to the study of art in Guatemala, preventing widespread knowledge of the innovative, perceptive, and aesthetically intriguing artworks that this exhibition compiles. The exhibition includes over 70 artworks, occupying approx. 8,000 square feet which in Santa Barbara will be installed in 3 venues: MCASB, Westmont Ridley-Tree Museum of Art at Westmont College, and Santa Barbara Community Arts Workshop. 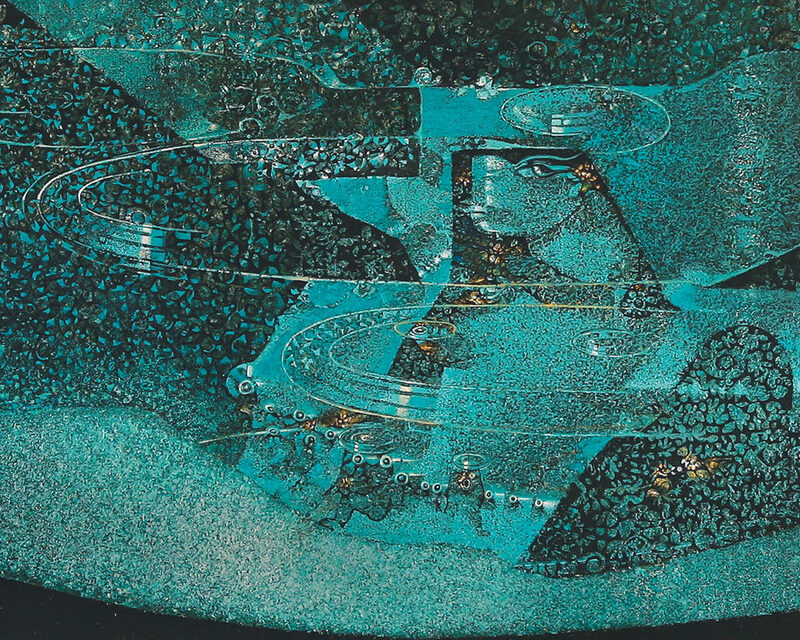 It is structured around clusters or groups of works that represent central ideas, themes, and media that have been pivotal in Guatemala’s art over the last 50+ years. Spanning different moments and generations, both the works and the clusters are interconnected and often an artist that is included in one chapter could also be part of another so that the exhibition is not installed by clusters, but orchestrated in a way that highlights the multiple connections that exist between the works and the threads. The exhibition will generate a breadth of concerns that illuminate patterns of development in Guatemalan modern and contemporary art for the past 50 years. The clusters are mainly thematic, although a chapter is dedicated to works that through formal and technical experimentation have contributed to the advancement of artists’ production in the country. The exhibition understands Guatemalan modern and contemporary art as made up--seamlessly--of works that range from a strict Western art-historical narrative to local notions of art (so called naïf or otherwise) as well as artists that stand on the meeting point of these traditions. From various points of view, formal approaches, and ideological positions, ART AND POLITICS deals with the way in which artists from different generations have examined the thirty-six-year civil war and its consequences. Through these works emerges the nature of the conflict, as well as the polarization that it has generated in the Guatemalan population, which is reflected in artistic production. Given that the dates of this exhibition coincide with the formal beginning of the war and parallel the development of the artist as a critical observer of political circumstances, it is argued that contemporary Guatemalan art cannot be dissociated from this aspect.From various points of view, formal approaches, and ideological positions, ART AND POLITICS deals with the way in which artists from different generations have examined the thirty-six-year civil war and its consequences. Through these works emerges the nature of the conflict, as well as the polarization that it has generated in the Guatemalan population, which is reflected in artistic production. Given that the dates of this exhibition coincide with the formal beginning of the war and parallel the development of the artist as a critical observer of political circumstances, it is argued that contemporary Guatemalan art cannot be dissociated from this aspect. The group under the heading ART HISTORIES acknowledges the existence of multiple art historical narratives and includes works that, in the spirit of Institutional Critique, refer to local or international art, to the history of art, or to the work of other artists as prime matter for creation. This chapter also includes artworks by artists concerned with the lack of access to art education in the country, interested in publications, and inspired by artistic and cultural producers not necessarily recognized within the official art history. The works included in FORMAL EXPERIMENTATION have contributed to the renewal of technical and formal artistic practice in Guatemala over the last half-century, touching on fields such as geometric abstraction and the use of industrial materials in sculpture as well as the influence of handicrafts on artistic languages. The group recognizes how, despite a strong tendency towards figuration and social art, geometric abstraction has been, from different angles, a determining component of the history of Guatemalan art, insofar as it has allowed for its renewal. GENDER PERSPECTIVES analyzes how gender and body rights have been expressed in artistic practices in recent years, largely through dialogue with foreign artists and the adaptation of the development of feminist theories to Guatemalan reality. It also discusses the dissident practices that have emerged from what has been more of an empirical conception of gender theory or activism and its social and cultural manifestations. LAND, LANDSCAPE, AND TERRITORY explores the complex relationship between landscape, land, and territory, from some of the essential issues behind the armed conflict (such as former President Jacobo Árbenz Guzmán’s agrarian reform proposal, and the expropriation of land to the United Fruit Company) to the central role played by the landscape in the construction of the collective imagination and the country-branding of Guatemala. The artworks in this cluster explore the multiple narratives that emerge from the landscape, such as the country’s natural environment, landscape as a source of conflict, and a particular cultural vision of the indigenous population: one that understands indigenous as an element of an exotic landscape and not as a citizen, member of society, and human being in his/her own right. POPULAR CULTURES brings together works and artists who, from a Western art historical perspective, have paid special attention to popular culture, both indigenous and Ladino. With one of the most deeply rooted traditions in Latin America, textile handicrafts have influenced several generations of artists, directly and as a result of their formal characteristics, use of materials, and wide dissemination as a distinctive cultural seal. In RACISMS AND IDENTITIES, the artworks address the idea of ​​a possible Guatemalan identity from the perspective of the cultural clash between indigenous groups and the Ladino population (a minority that has historically had social, political, and economic power). This set includes a series of works that deal with the racial division between Guatemalans (ideological and de facto) and racial conflicts in the course of history, as well as the multidirectional racism that follows suit. It also explores a third way of understanding the question of indigenous and Ladino cultures—through the lens of hybridization and postcolonial theories. Given the profound influence of Maya cosmology, as well as the great diffusion of “imported” religions in Guatemala, such as Catholicism and more recently, Protestantism, the category RELIGION, SPIRITUALITY, AND METAPHYSICS includes works that deepen the presentation of a spiritual aspect and its relationship with a wider cultural scene. This cluster includes a thoughtful and critical review of the effect that different modes of faith and metaphysics have had on the country in permeating the culture and its material and visual production. The set of artworks in VIOLENCE AND TRAUMA present the responses of artists to the violence that persists in Guatemala as a consequence of the civil war and as the continuation of a broader historical narrative that goes back to the Spanish Conquest, spanning the military governments of the twentieth century, and deriving from the situation of inequality and social instability today. This group of works addresses the role of the State and the socially instigated violence that has impacted life in Guatemala during the last half century, but also represents work that is produced by a lack of State, institutionality, and social policies that have allowed such tragic phenomena to happen in the country, such as the maras (gangs), migration, and the strengthening of drug trafficking. Major support for Guatemala from 33,000 km is provided through grants from the Getty Foundation.